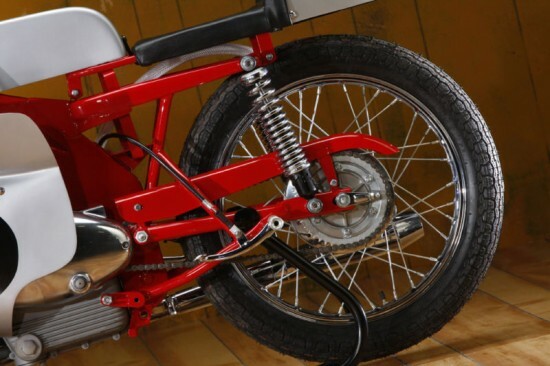 If you take a look over at the eBay auction for the 1968 MotoBi you can see why it caught my eye. But when I started to look for information about the company and what they did, I am thankful for those women for my new found knowledge. Giuseppe Benelli, oldest of 6 Benelli brothers that were Benelli motorcycle, left the family business in 1949 to begin MotoBi(with a capital B for those in the know). Beginning with 2 stroke scooters, by 1955 he and his two sons produced their first four stroke motor, and soon came to dominate the Junior class Moto Sportive Derivate dalla Serie racing series in Italy. This was the minor leagues for racers like Roberto Gallina, Silvano Bertarelli and Eugenio Lazzarini who them moved to larger bikes in Italy. 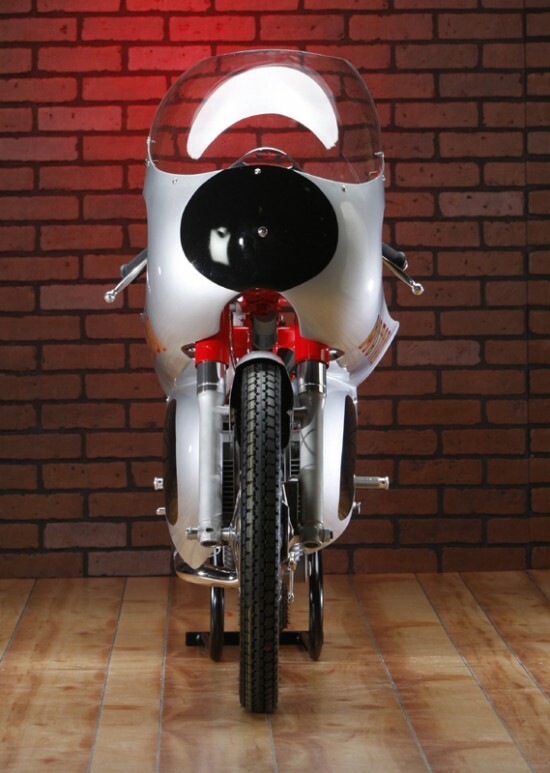 This classic racer has had a no-expense spared restoration to make this piece a true museum quality motorcycle. Flawless paint, accurate decals and badging are just some of the fine detailed work. 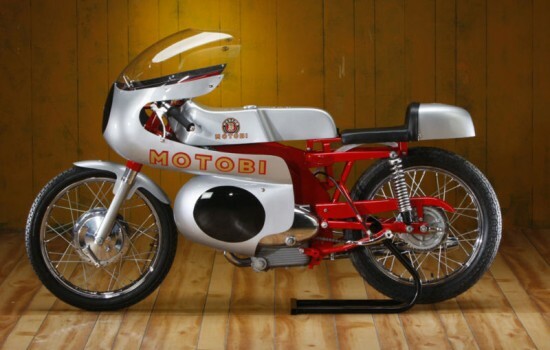 The MotoBi did make it to the US through Cosmo Importers along side Giuseppe family’s Benelli motorcycles, and appears to have been rebadges in some cases, and maybe even sold through Montgomery Wards. 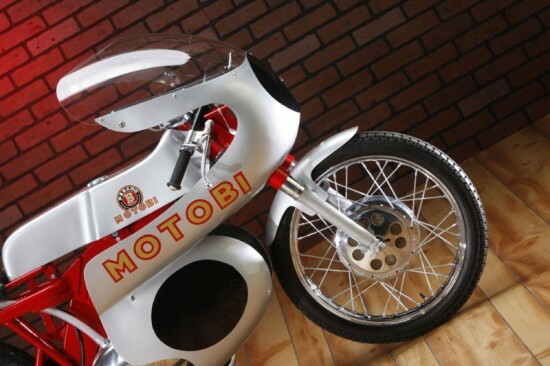 The Wise Family who ran Cosmo did put the MotoBi into the hands of some state side talent, Kurt Liebmann (I am a fan of the Liebmann family for what they did with BMW at AMOL Precision) and Jess Thomas. 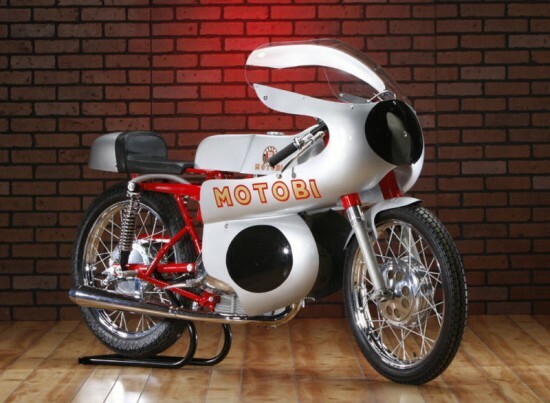 Thomas was able to take a 205cc MotoBi to victory in the 1962 US GP in Daytona, defeating factory RC162 from Honda.